Custom sweatshirts, custom hooded sweatshirts (custom hoodies) or the ability to design your own sweatshirt online is offered by many screen printing, embroidery, promotional products and decorated apparel companies. Therefore, for some artwork, printed sweatshirts or hoodies are a better option and a lower cost alternative to appliquéd, tackle twilled or embroidered sweatshirts. The method of decoration we use to make printed sweatshirts is Direct to Garment printing, also known as DTG. There was a time when a sweatshirt was just a sweatshirt. Today, men’s sweatshirt are now available in what were once considered women’s colors and women’s sweatshirts are no longer smaller versions of men’s, with silhouettes cut specifically for a woman’s shape. There are long sleeve, short sleeve and sleeveless sweatshirts, crewneck, turtle neck and mock turtle neck sweatshirts, sweatshirts made in high-performance fabrics, knitted silk, merino wool or other fabrics. With all of the different brands, styles, profiles, fabrics and colors of sweatshirts to choose from, there is a sweatshirt for everyone. However, to keep their prices low, most companies that offer custom sweatshirts limit the choices to the cheapest sweatshirts available. Do not buy cheap sweatshirts. Cheap sweatshirts are thin, ill fitting, lose their color, shape and shrink excessively after the first wash. 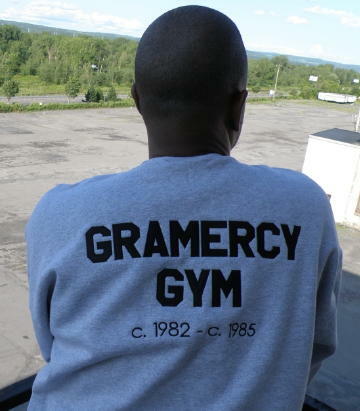 Numerous decorated apparel companies and promotional products companies offer “Cheap Sweatshirts", "Cheap Custom Sweatshirts" or “Cheap Personalized Sweatshirts". After we review your design or logo, sweatshirt and quantity, we will discuss which method of customization is best for you.